The FDA approved the use of risperidone or Risperdal orally disintegrating tablets for "the symptomatic treatment of irritability in autistic children and adolescents." As the first FDA-approved drug treatment for behaviors associated with autism, this is likely exciting news for parents. But since Risperdal has already been used off-label for many years to treat children with autism, ADHD, and children who are bipolar, it is not exactly a breakthrough. Many parents are surprised when their child is prescribed Risperdal because it is an atypical antipsychotic medication that was originally approved to treat the symptoms of schizophrenia in adults and manic episodes associated with bipolar disorder. These atypical antipsychotics, including Risperdal, Abilify, Geodon, Clozaril, Zyprexa, and Seroquel, have been shown to improve many behavioral symptoms, including aggressiveness, oppositionality, and hyperactivity, in children with psychiatric problems other than schizophrenia. The most common side effects of taking Risperdal include drowsiness, constipation, fatigue, and weight gain. The drowsiness is sometimes a 'good' side effect, as many kids who take Risperdal do not sleep well, which adds to their behavior problems during the day. Ask your doctor about other less common, although more serious side effects, including neuroleptic malignant syndrome, tardive dyskinesia, and hyperglycemia and diabetes. Excessive weight gain can also be a problem for children taking Risperdal and other atypical antipsychotic medications. Although medications like Risperdal are usually considered to be strong, they often have a dramatic improvement on the behaviors that they are targeting and many parents find that the benefits of trying them outweigh the possible side effects. 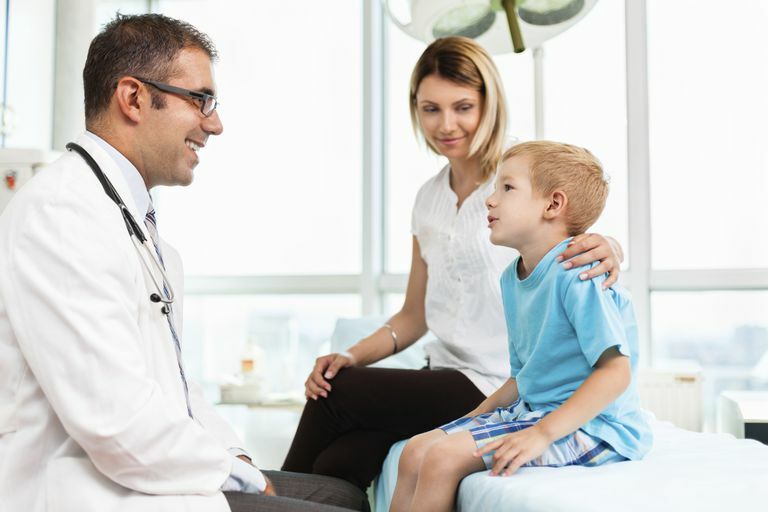 If your child and family are impaired by his "symptoms of aggression towards others, deliberate self-injuriousness, temper tantrums, and quickly changing moods," then you might ask your pediatrician if Risperdal might be an option for your child with autism. Keep in mind that it is only approved for autistic children who are between the ages of 5 to 16 years old right now. Comparison of Risperidone and Methylphenidate for Reducing ADHD Symptoms in Children and Adolescents With Moderate Mental Retardation. Correia Filho AG - J Am Acad Child Adolesc Psychiatry - 01-AUG-2005; 44(8): 748-55. Risperdal Full US Prescribing Information Sheet. Revised October 2006. Pharmacotherapy of Children and Adolescents With Bipolar Disorder. Kowatch RA - Psychiatr Clin North Am - 01-JUN-2005; 28(2): 385-97.